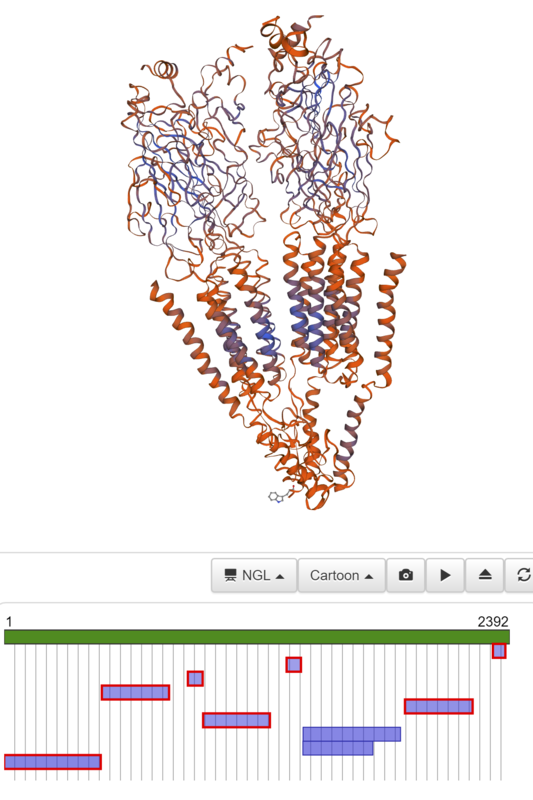 I am using homology modelling to assign the 3D structure of Torpedo acetylcholine receptor (Unwin 2004, 2bg9 in RCSB) to human muscle nAChR. The problem is, both Torpedo receptor, and human receptor have subunit structure A-B-D-A-E: so a same subunit (A) occurs in the model twice. This seems to cause problems for homology modelling software, as it tends to align the second 'A' sequence over the first 'A' sequence, creating a hole in the pentamer, and not filling it up. Any ideas on how to make sure the modelling software acknowledges the quaternary structure? Below please find a link to a file generated using pdb.gz structure data from Unwin model + a set of corresponding FASTA sequences, and attached picture shows the problem (revealed when alignment is set as shown in the picture, by clicking on the same 'boxes' as in the image). Long story short, I need to get the A subunit to complete the alignment in a different spot than it is automatically placed in, as it occurs in the whole structure twice. For anyone who will struggle with this problem in the future: The trick is in reading WHOLE of the manual, NOT submitting the whole sequence/badly segmented sequence, and in NOT attempting to input the same subunit twice. It is necessary to upload subunit FASTAs separately as a hetero target, and each subunit ONLY ONCE (so A,B,D,E for A-B-D-A-E receptor), and then search for templates: most probably there is a template with your quaternary structure uploaded somewhere already, and if not, you can choose preferred arrangement afterwards. Not the answer you're looking for? Browse other questions tagged proteins protein-structure computational-model homology or ask your own question. Two subunits connected by only one disulfide bridge: quaternary structure?